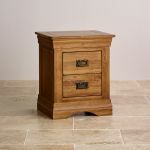 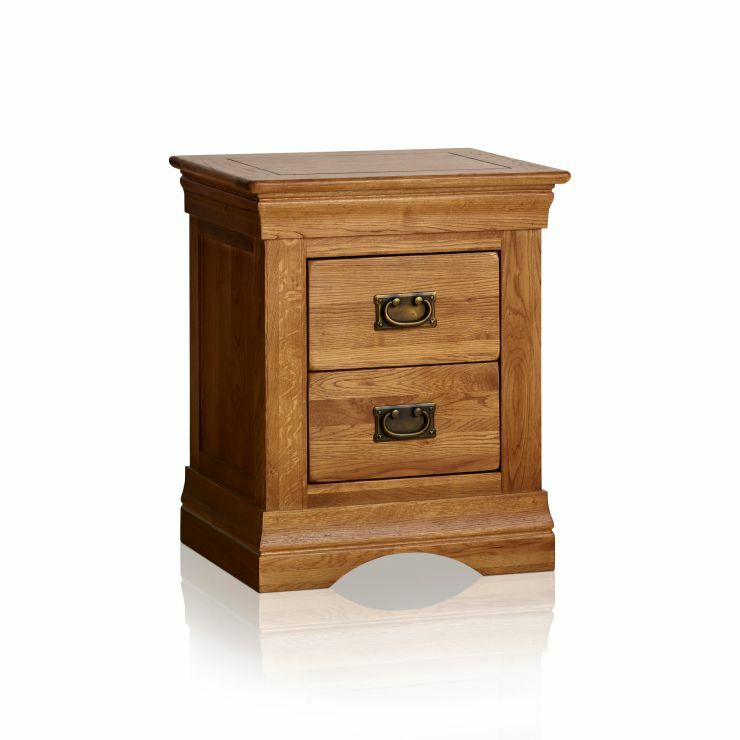 The French Farmhouse Rustic Solid Oak Bedside Table is handcrafted from premium grade solid oak timbers which have been specially selected for their superior grain patterns. 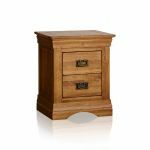 Inspired by classic French designs, the table features wonderfully flared cornices, an arched base and antiqued drop bar handles. 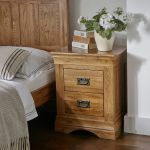 Beneath the carved crown piece sit two generously-sized drawers suitable for storing reading material and anything else you need to hand. 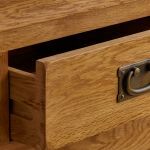 To ensure this piece will last a lifetime, each drawer is crafted using traditional dovetail joints with solid oak backs, bases and runners. 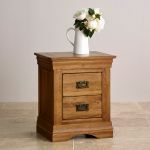 Quality finishing touches include inlaid groove detailing, softly rounded edges and panelled sides. 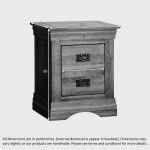 Browse the rest of this resplendent range to discover how easy it is to harmonise your furnishings.